Ever wondered why holidays are so appealing? 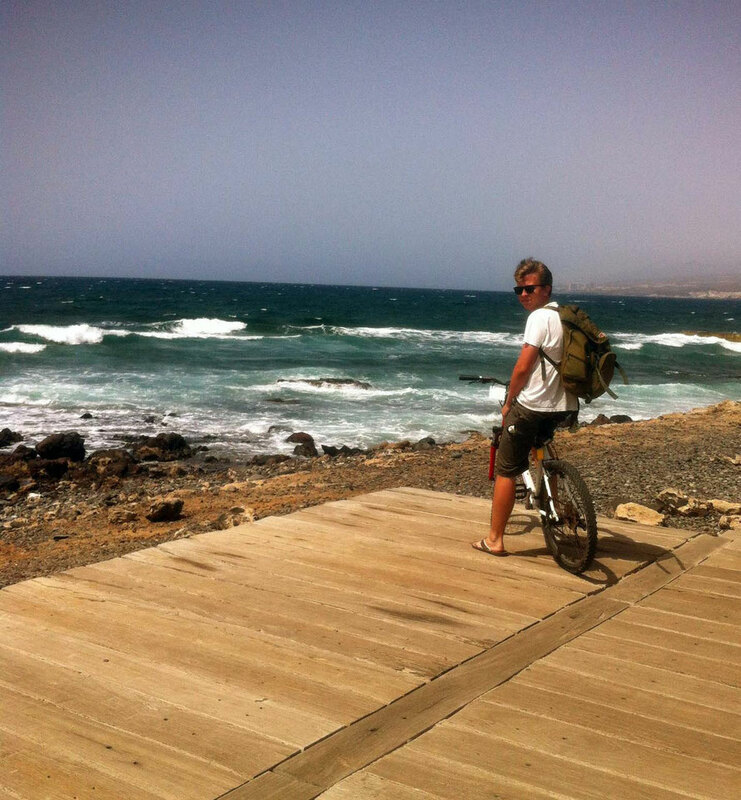 What makes 10 days in Tenerife light up the soul with anticipation? You might never have given this much thought but I have- because I have way too much time on my hands as a result of skilful procrastination, but let's leave my problems out of this. So the appeal... 10 days in the sunshine? 10 days away from work? 10 days drinking coloured alcoholic concoctions that you choose based on the colour alone? The answer lies in old computers.... obviously. Take your mind back to a time when computers exploded just for being turned on too many times in a day. Ever notice how when you asked those computers to access something outside of its daily routine it would take that bit longer? The egg timer would appear and you would wait while it desperately searched the recesses of its artificial mind for that document you haven't opened in years. Here is my theory. New experiences will extend your life (bear with me). We are computers and most days we access those same files. Getting ready for work, making our lunch (I live for bacon) or having a drink in our favourite bar - routine. We like routine and routine likes us, we are truly creatures of habit and it keeps us operating. The more of a routine we get into, the faster life goes. Weeks and months roll on and every now and then a reference point appears - (WOW IT'S MY BIRTHDAY AGAIN) and we all get a little terrified. It feels like we left school yesterday!? ROUTINE. To a degree it is unavoidable but if we know that routine = accessing the same files, less thinking, less learning and consequently time just flying on past the window then surely we would want to change that? I bet those 10 days in Tenerife felt like an everlasting lifetime while you were there right? New experiences are the key. New experiences often force you to slow down and really appreciate the world around you. The greater the complexity of our routine the more we speed through life ignoring the beauty around us. Did you hear the story about the violinist busking in the subway? He played in a subway at rush hour and made under $50 and his biggest fans were a few children, unsuccessfully attempting to stop their parents to listen. He is one of the finest musicians in the world and this experiment posed a scary question, if most people blindly walk past one of the best violinists in the world, how many beautiful things do we miss out on everyday? SCARY. This is why travelling can be so miraculous. It forces you to perceive, to properly look and interact with the world around you. It detaches you from an environment full of routine and throws you into a world of new experiences. Slowly but surely I am arriving at the point I am trying to make. New experiences are usually hugely enjoyable and I am sure they extend your life- or at least your perception of it. My first 5 months on a cruise ship felt like an entire lifetime! New environment, new people, new experiences- more life! 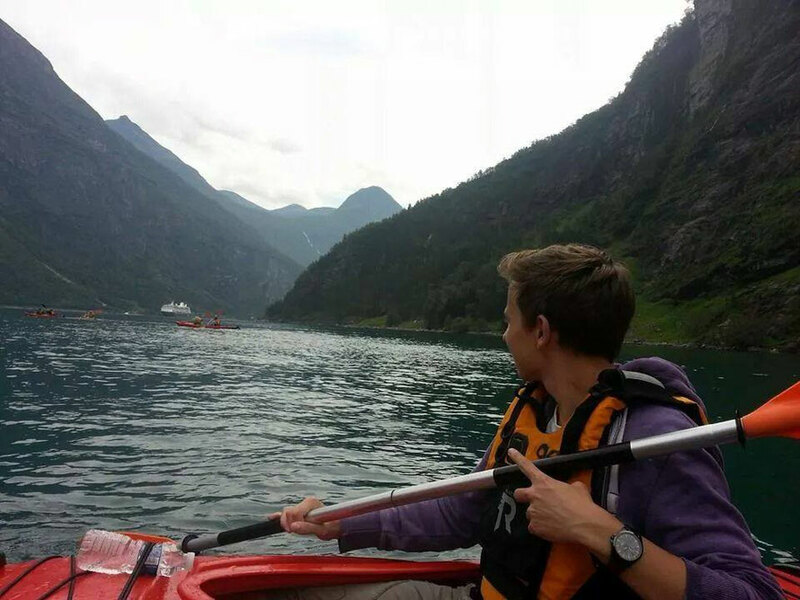 One of my new experiences- kayaking in the Norwegian Fjords! Comparatively I spent 8 months in a job at home during my gap year. I learnt a lot but the routine consumed me and I can barely comprehend where those 8 months went! I disappeared into a world of patterns, routines and a lack of new experiences- but that was my fault. I am not saying that the only solution is to drop everything, grab a bag and runaway (do it, do it now) ((subliminal bracketed sentences everywhere- watch out)). I am saying that finding ways to experience new things to break up routines will allow you to really appreciate the world around you. The Power of Now by Eckhart Tolle is a beautiful book that delves into appreciating the world around you and living in the moment. 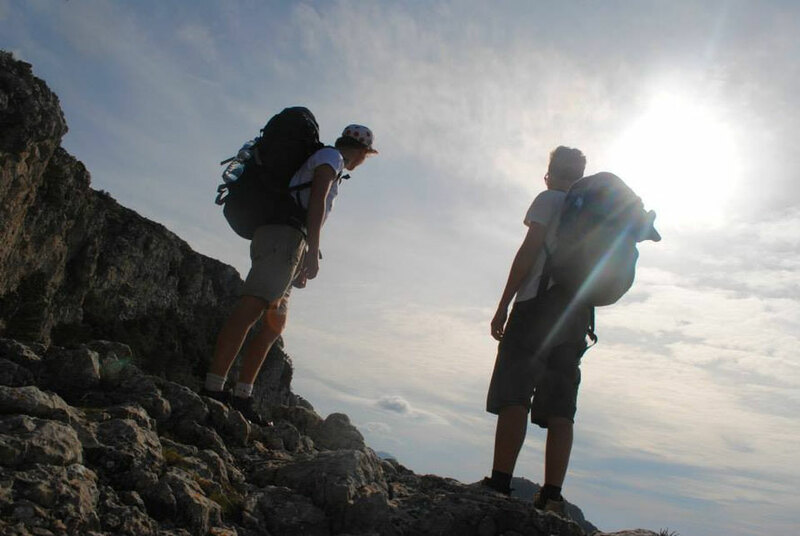 Travelling is the best solution for me right now and perhaps it is the best solution for you? I can't trust myself to stay in one place for too long, I become a tea drinking, noon awakening creature that hibernates for no good reason. That will not do. I look forward to a life on the road. Love this Sean! True though, life can get very dull day in day out haha! Thank you for the kind words everyone- I hope it wasn't too dark Amy! Nice post! New experiences are great, and travel has been my passion for decades. I enjoy the planning and these wonderful experiences as much as anyone. But I'm not a nomad. I enjoy having a home and family and career that ground me. Being rooted doesn't, for me, detract from travel experiences. It allows me to enjoy them perhaps more because they are not everyday things. Wishing you a wonderful Christmas and great travels in the year ahead! Thanks Charlie and Dr Fumble! Wise words indeed. Sounds like a great balance for sure- perhaps I am too greedy for travel. Loving your blog Sean...but when are you going to talk about the endless days of sea-sickness...?! Thanks Sarahlou! Ahhh... I thought I would try and keep things positive before turning to such dark stories.... or turning green stories as the case might be! Greetings from Los angeles! I'm bored to death at work so I decided to browse your blog on my iphone during lunch break. I love the knowledge you present here and can't wait to take a look when I get home. I'm surprised at how fast your blog loaded on my phone .. I'm not even using WIFI, just 3G .. Anyhow, awesome site! Hi Renita. Thanks for your comments! Much appreciated.